You’re here because you realize it’s time to treat yourself to a luxurious vehicle with a bold style and power to match. Everything you want to find in your dream Toyota is here on this site. You can view our complete new and pre-owned inventory, build your own model, schedule service and even order parts. We’ll do everything we can to make your shopping experience the best. 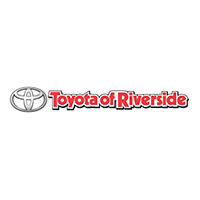 At Toyota of Riverside, we are proud to offer a lineup of the newest Toyota Vehicles. Our inventory is updated regularly on this site, so you have the information you need to make the best buying decision possible. We know your time is valuable, which is why we offer fast and friendly service, accurate information and great prices. There is nothing more rewarding than seeing our customers drive away in a Toyota knowing that they had a positive, hassle-free experience while saving money. You’ll see the difference when you come in and speak with one of our experienced sales professionals. So come by and see our large selection of Toyota cars, trucks and SUVs and see how Toyota of Riverside offers you their very best in price and service.